Action Gator Tire Stores offers crucial service to repair any vehicle in the best possible method, in and around Florida. They have highest technical support to service vehicles of almost all companies. Changing oil, aligning of wheels, checking rotations of tires, tuning up and even repairing of tires are undertaken with expert supervision, in the entire region of Florida. The company has their corporate office in the region of Apopka, FL. Expert technicians and mechanics associated with them are certified and trained with ASE. They have high standards of modern equipments and state-of-the-art tools to diagnose any fault of vehicles. They are serving customers since 1964. They believe in rendering highest standards of service at effective service charge. 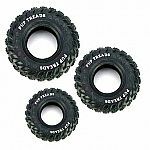 There are currently 0 consumer reviews about Action Gator Tire Stores available. Share your review. Please take a note that you are about to post a public review about Action Gator Tire Stores corporate office on CorporateOffice.com. This review will be public, so please do not post any of your personal information on this website. If you would like to contact the corporate offices of Action Gator Tire Stores, please use their contact information such as their phone number, website, and address listed above to contact them. However, sometimes staff from Action Gator Tire Stores headquarters do read the reviews on this website.